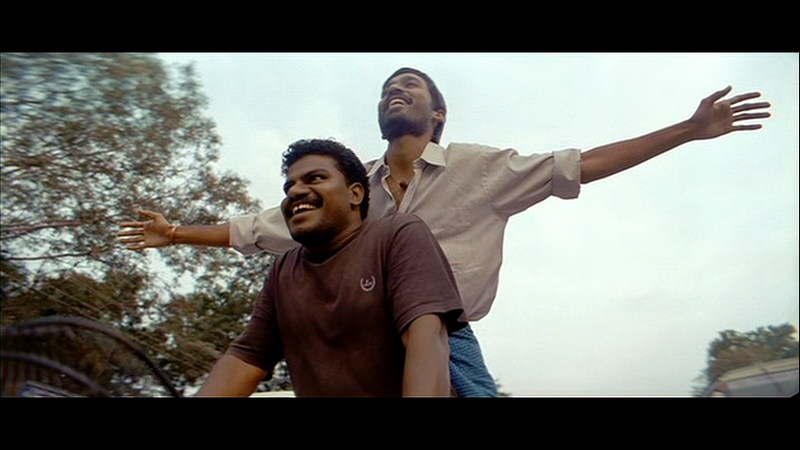 I first saw Aadukalam when it released in the cinema and despite the lack of subtitles was so completely drawn into the story that I didn’t want the film to end. I was very surprised that I enjoyed it so much since the film centres around cockfighting, which is something I abhor and wasn’t keen to watch on-screen. It was really only the Vetrimaran and Dhanush connection that got me through the door, but I’m so glad that it did. 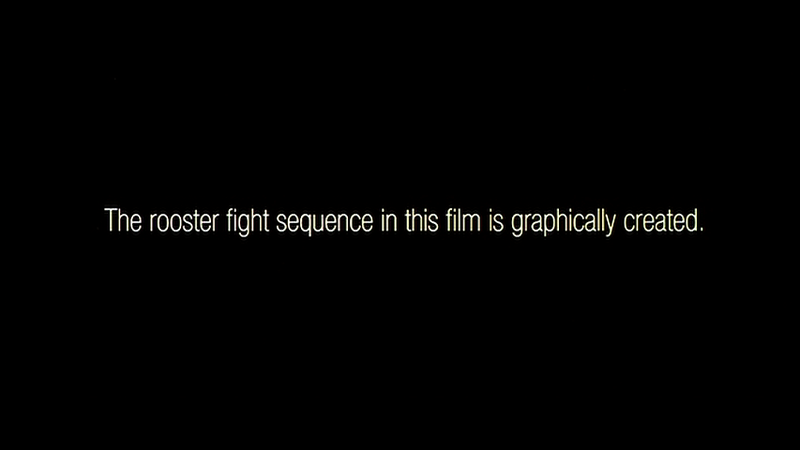 While the film didn’t change my views on the subject it was a lot more watchable than I anticipated, helped considerably by this statement in the opening credits and the fact that the cockfighting scenes were quite clearly CGI. The film focuses on the relationships between the main characters and how these change as their circumstances alter. 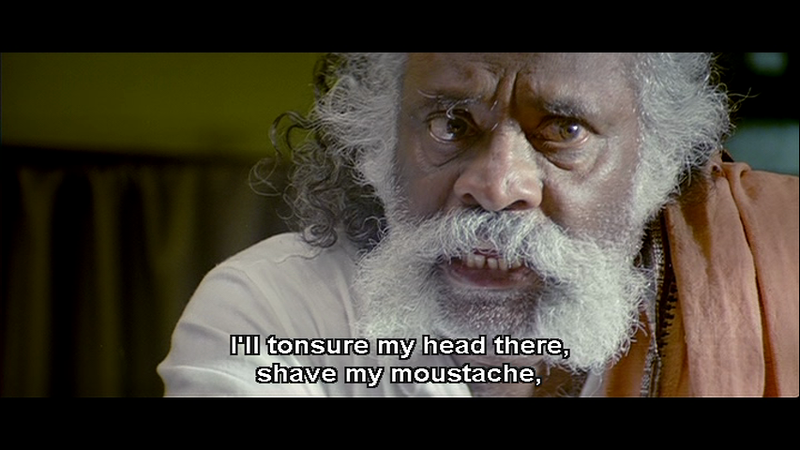 Alliances are made and broken, and pride and prestige are the driving forces behind the actions of Pettaikaran (V. I. S. Jayabalan) and his chief rival in the cockfighting scene, police inspector Rathinasamy (Nareyn). The film is set near Madurai in a small town where Pettaikaran breeds and trains roosters for cockfighting. He is aided in this venture by three men; Ayub (Periyakaruppu Thevar) who stitches the roosters back together after the fights, Durai (Kishore) who provides financial support and Karuppu (Dhanush)who sets the roosters for fighting. Karuppu seems to look upon Pettaikaran as his father, while Pettaikaran is grooming Karuppu as his successor, so the two appear to have a close relationship, making later events all the more shocking. 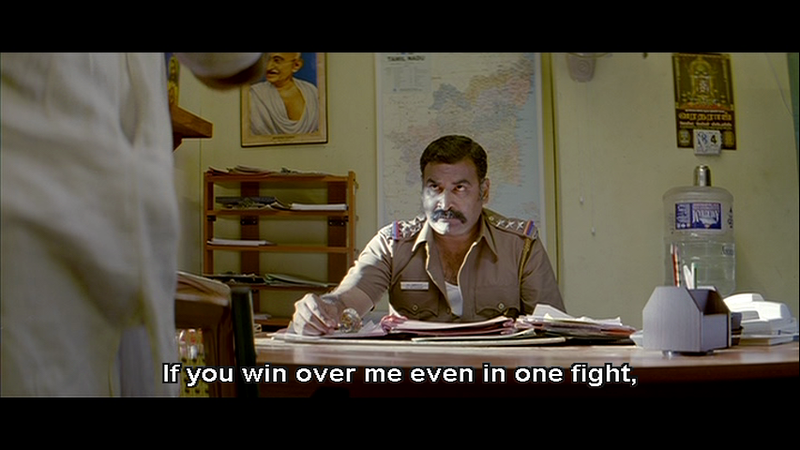 The first half of the film deals with Rathinasamy’s attempts to force Pettaikaran to take part in a cockfighting tournament so that he can finally win over his main opponent. Pettaikaran however knows that Rathinasamy will stop at nothing to win and refuses to take part in any further matches despite major provocation. However Rathinasamy is as corrupt as he is determined and he finally manages to set up the final showdown. The stakes are high – apart from all the money to be won, the loser will have to shave his head and moustache and, almost as a secondary consideration, they will also have to give up cockfighting for good. The prize money isn’t important to either of these two men, but is rather more important for Karuppu. He lives with his widowed mother who has dreams of buying back the mortgage to their house, while Karuppu has dreams of a different kind involving an Anglo-Indian girl he has met. He falls in love with Irene (Taapsee) and his love takes the usual form of stalking until he finally manages to work up the courage to speak to her. Irene is horrified by his declaration and her initial reaction is very natural and honest. Sadly it’s also the only scene where Taapsee manages to convince in her acting. The romance feels clunky and awkward, and the actors seem to feel uncomfortable with each other as well. Taapsee is very wooden and lifeless, and there is never any good reason why a well-educated girl from a good family would fall in love with a scruffy uneducated villager like Karuppu. While Dhanush is more convincing in his obsession with Irene, he’s a little too arrogant for me to fully believe in his love. His passion is much more for his idea of Irene, and once having made his decision that she is the right girl, he is determined to marry her more to flatter his ego rather than because of any genuine feelings for her. Partly to pay back money he owes Irene, Karuppu takes his rooster along to the tournament despite the fact that Pettaikaran had earlier told him to put the bird down. As a result, Pettaikaran distances himself from Karuppu and tells everyone who will listen that his rooster will not win. So when it does in fact win all 3 fights and Karuppu takes home the grand prize, Pettaikaran is humiliated by this loss of his reputation and sets out for revenge. While the first part of the film deals with the rivalry between Pettaikaran and Rathinasamy, the second half deals with the machinations of Pettaikaran as he seeks his revenge on Karuppu. 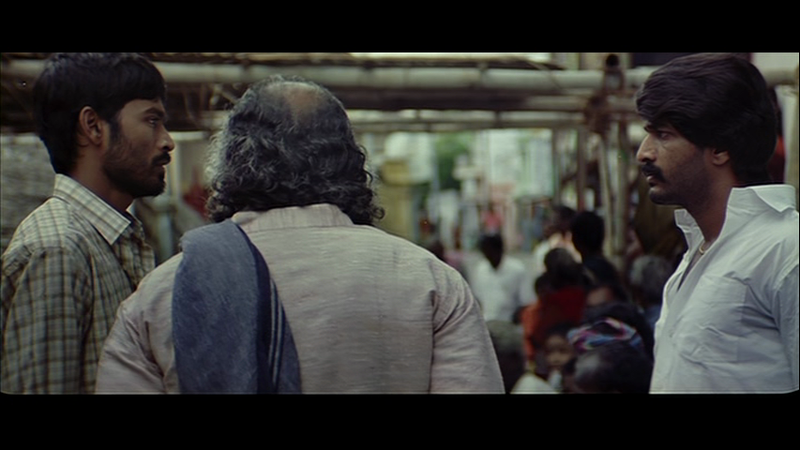 Jayabalan is amazing as the aging champion and his character is beautifully etched in shades of grey. The change from his initial, more moral stance where he refuses to fight Rathinasamy knowing that he is risking the lives of his assistants by doing so, is beautifully contrasted with his change in ideals as he starts to plot and plan against Karuppu. His manipulations of the faithful Durai and the treatment he metes out to his young wife grow ever more disturbing, but still quite believable as he is determined to ruin Karuppu in every way that he can to soothe his battered ego. 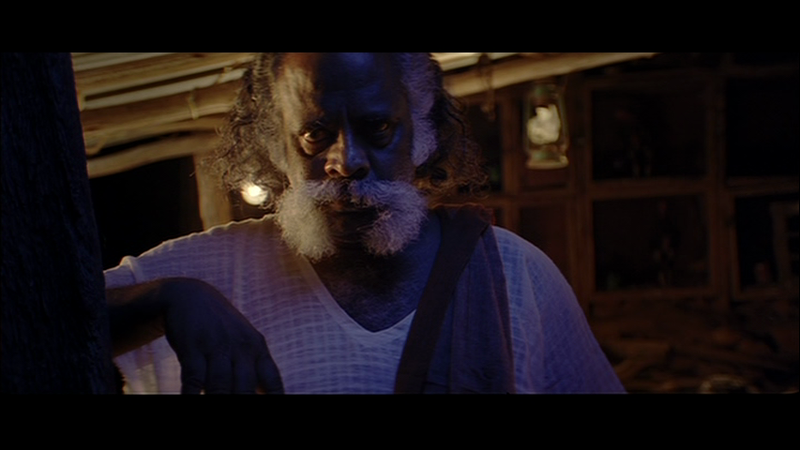 Dhanush is also excellent as the rather naïve Karuppu. His relationship with his mother is well depicted and the love and frustration between the two is very evident. His scenes with Pettaikaran are among the best in the film, although Karuppu’s relationship with Durai is also well portrayed and the two actors have a great rapport. Dhanush has done a number of these village type roles but here he totally becomes the character of Karuppu and I think deserves the National Award he won for his performance. His final realisation of just how he has been betrayed by the man he considered as his father is brilliant and throughout he effortlessly conveys his emotions without going to extremes. Vetrimaran has come up with characters that are essentially very ordinary with normal human emotions of petty jealousy and pride and made a story that works so well because it deals with them in such a realistic way. The other actors in supporting roles are all excellent with some very good characterisations. Meenal as Pettaikaran’s wife is fantastic and while Periyakaruppu Thevar doesn’t have a large role he is very effective and paints his character fully in just a few short scenes. Nareyn is suitably immoral and villainous as Rathinasamy and it’s a shame that he vanishes from the story in the second half. I can’t find out who played the role of Karuppu’s friend but I though he was great and will keep a watch out for him in other films. While most of the action involves roosters fighting there are a few human fight scenes which are more of the push and shove variety rather than the carefully choreographed and highly fictionalised fight scenes more usually seen. They also rely on the use of various stones, buildings and tree stumps to do any actual damage to the various opponents until the last few scenes, which are choreographed to imitate the cockfights from earlier. Cinematographer Velraj does an excellent job with the many night scenes, often involving fights, and it’s quite easy to make out what is going on. The music by G. V. Prakash Kumar works well in the film but apart from Yathe Yathe it’s not particularly memorable and doesn’t stand out. This is probably all to the good as the songs don’t detract from the story and are used more to further develop the characters. This entry was posted in Kollywood and tagged aadukalam, Dhanush, G V Prakash Kumar, Jayabalan, Kishore, Kollywood, Meenal, Nareyn, Periyakaruppu Thevar, Taapsee, Tamil, V. I. S. Jayabalan, Velraj, Vetrimaran. Bookmark the permalink.